Medeco is a leading supplier of consumables and equipment and related disposables in healthcare. Product availability is of course of great importance to Medeco. At the same time it is essential to control her inventory and costs. Now Medeco is ready to make a next step in professionalising its inventory management. For selected suppliers Medeco will review current arrangements and processes to find smarter ways to ensure availability. Medeco has asked Involvation for support in this. Canon is a Japan based multinational with three business units in Europe: Consumer Imaging Group (CIG), Business Imaging Group (BIG) and the Production Printing Group (PPG, former Océ). Improving inventory management to reduce the working capital is high on the agenda for Canon. Involvation was involved in supporting the development of the European Demand and Supply Management (EDSM) organization. EDSM is responsible of all inventories within the EMEA region. Begin 2016 Involvation carried out a pilot within EDSM to assess impact of inventory parameter optimization. Canon has now asked Involvation to support the further structural reduction of inventory. After a strategic evaluation, required to ensure alignment with the commercial objectives, Involvation supports the planners with improved processes, tools and information. 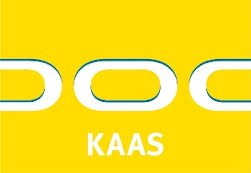 DOC Kaas is a Dutch Cheese company. The cooperative – established in 1895 and located in Hoogeveen (NL) – produces yearly more than 130.000 tonnes Dutch cheese, which are sold world wide. The main component of these cheese, the 1 billion litres of milk, is provided by the members of the cooperative: the dairy farmers who at the same time are the share holders of the cooperative. Since April 1st of 2015 the European milk regulations are eliminated. The expectations for future milk production is that there will be more volatility in produced volume, depending on market prices. To be able to anticipate on the variation in milk supply to the production site, it is vital to have an accurate forecast of the supply. Supported by Involvation DOC Kaas has implemented a forecasting system for the milk supply. Based on extrapolation of information provided by a selected group of farmers a weekly forecast of the next months is made. Involvation provided the calculation tools and supported DOC Kaas with the selection and instruction of the farmers. Shimano is a leading worldwide supplier of captivating products and services for the cycling, fishing and rowing industry. Shimano has a very wide and successful distribution network across Europe in order to sell and service towards independent distributors, agents, OEM’s, whole sellers, dealers and even consumers. The mission of Shimano Europe is to be an excellent supplier and a valuable partner for all their customers throughout all distribution channels in the European cycling, fishing and rowing industry, to create consumer demand for Shimano & Shimano owned products, as well as to be the “Eyes, ears and mouth” of the global Team Shimano as representative in Europe. Shimano Europe has asked Involvation to support them in further improving their supply chain. The objective is to achieve an even better product availability while at the same time realizing better inventory turns. Several integral projects are set up to take the planning and control processes to the next level. After conquering the concrete sector, the Irish multinational CRH (approx. 20 billion euro turnover) is now focusing on sanitary- and heating wholesale. 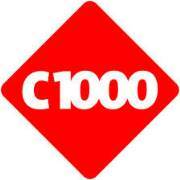 Over the past years this has resulted in takeovers of Schrauwen, Lambrechts and Sax in Belgium and Paulsen in Germany. 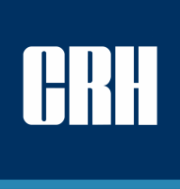 After successfully assisting the company in Belgium, CRH has now asked Involvation to further professionalize the inventory management in Germany as well. FrieslandCampina Domo develops, produces and sells high grade diary ingredients on a global scale. These ingredients can be used for child nourishment, medical nourishment, cell nourishment and sports nourishment. FrieslandCampina Domo asked Involvation to assist the design and implementation of statistical forecasting. Aldipress is the market leader when it comes to trademarking and distributing magazines, comics, novels and puzzles for separate sales. Aldipress has approached Involvation to do an audit on their current replenishment methodology and to improve the current methodology. 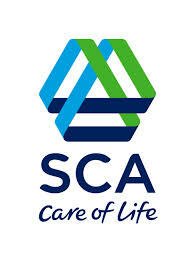 Having already significantly reduced its stock levels, SCA decided to work with Involvation to explore further opportunities. The task was to look at integrally minimising inventory and changeover costs. This was not a unique task as such, but the particular circumstances within the company meant that it was a more complex puzzle. Holmatro develops, produces and sells hydrolic tools as well as systems for firefighters and emergency services, industrial applications and yachts. Holmatro asked Involvation for support in the further increase of its service level. By doing a Quick Scan more insight is gained in the dynamics of the forecast- and inventory management process of Holmatro. Based on this a program has been started to realize the identified improvement points. Technische Unie is one of the largest technical installation material wholesalers in The Netherlands. From two central distribution centers and 35 service centers, over 90.000 items are delivered from stock to its customers within a day. Technische Unie has asked Involvation to investigate what the possibilities are to offer its customers a better service level, whilst reducing inventory. To achieve this Involvation performs both a qualitative as well as a quantitative investigation. Especially the possibility to differentiate more in the inventory levels of slow movers will be investigated. A training-on-the-job project to enhance theoretical knowledge and to implement this knowledge directly into Coolmark’s business.